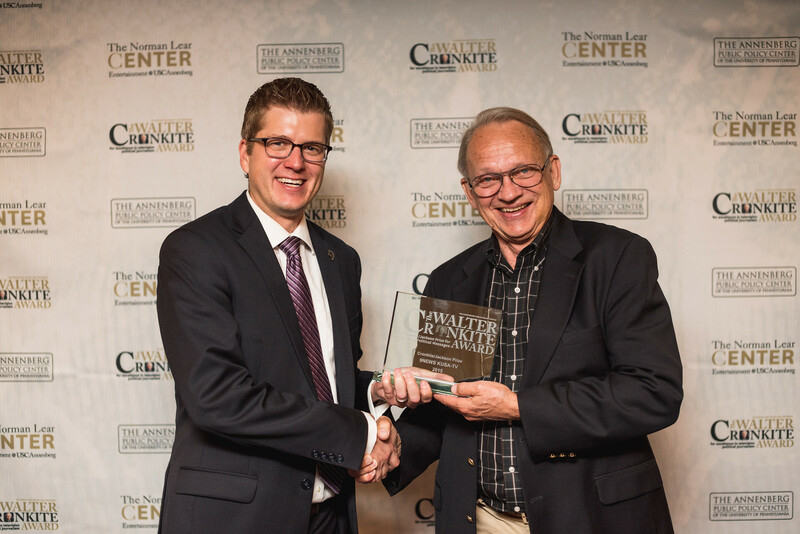 The award was presented on May 15 in Washington to KUSA political reporter Brandon Rittiman at the ceremony for the 2015 Walter Cronkite Awards for Excellence in Television Political Journalism. KUSA, a Gannett-owned NBC affiliate that goes by the name 9News, also received a Cronkite award for best large-market local station. A large-market local station award also went to KXAN in Austin, Texas. Other Cronkite awards honored stations in New Orleans, Milwaukee and San Diego. KUSA’s Brandon Rittiman (left) accepts the award from FactCheck.org’s Brooks Jackson. 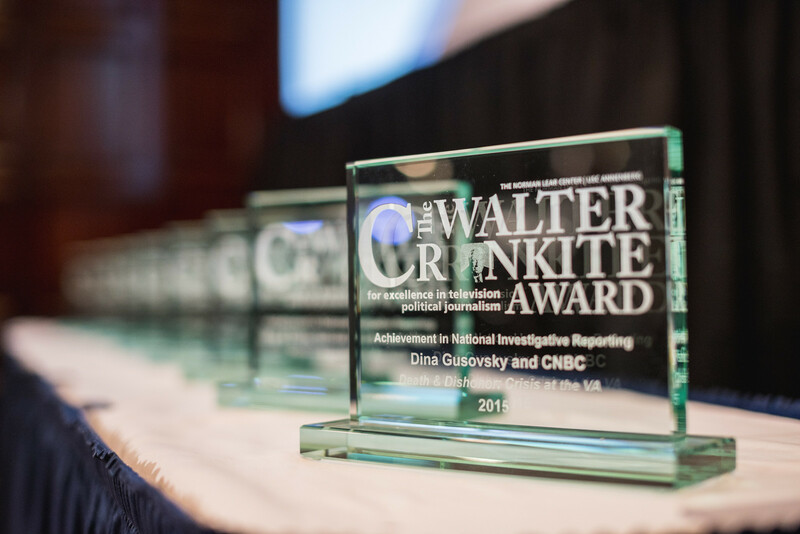 The Cronkite awards have been presented biannually since 2000 by the Norman Lear Center at the University of Southern California’s Annenberg School for Communication and Journalism. The Cronkite/Jackson Prize, awarded for the second time, was selected by a jury convened by the Annenberg Public Policy Center, home of FactCheck.org. The Cronkite/Jackson prize is named for Brooks Jackson, founding director of FactCheck.org. 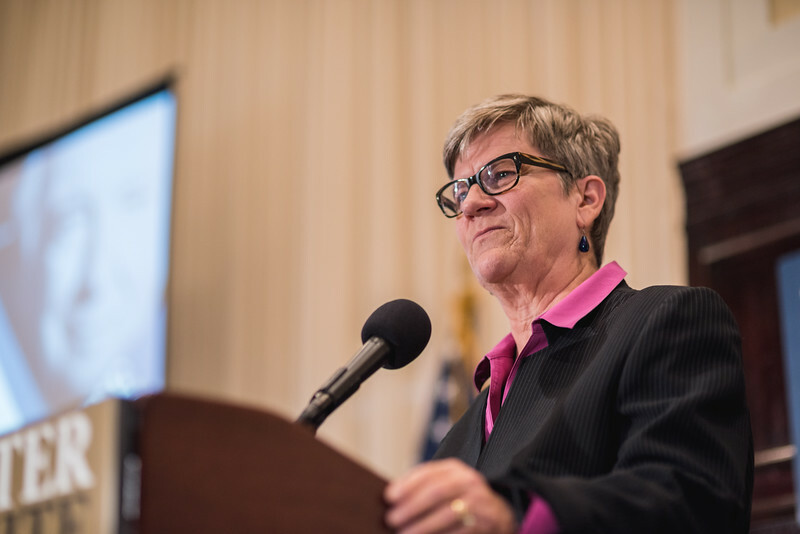 Annenberg Public Policy Center director Kathleen Hall Jamieson said, “KUSA’s commitment to fact checking is unrivaled. KUSA produced 55 fact-checking segments in 2014, even more than the 44 it produced in 2012.” KUSA also was the winner of the 2013 Cronkite/Jackson Prize.